Bearded politics – Will Jeremy Corbyn’s beard hold him back? Can the Labour leader Jeremy Corbyn become the first bearded prime minister since Robert Gascoyne-Cecil, the 3rd Marquess of Salisbury, who resigned in 1902?Well recent research from The Bluebeards Revenge male grooming brand suggests that Mr Corbyn might be on a sticky wicket, but it’s not down to his polices, it’s his facial hair that could prove to be the main barrier. 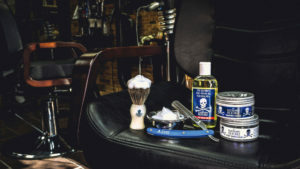 For more on BlueBeards Revenge products, visit their website or H&B to buy online.